Managing wealth involves far more than managing an investment portfolio. It begins with developing a holistic, comprehensive understanding of who you are and the financial forces at work in your life. It means helping you understand and respond effectively to these forces. And, of course, it means helping you invest your assets in a way that reflects the realities of your life and the uniqueness of your long term goals.As Financial Advisors, we are committed to building a relationship of trust in which we can work closely with you to help you define your objectives, explore alternatives and choose the financial and investment strategies that are most appropriate for you. As our relationship evolves,we hope you will come to regard us as a valued resource and professionals who can help you make a more informed decision on any financial issue.Our most important goal: to help you achieve your objectives, providing guidance that helps your wealth do more for you. It starts with listening. We ask questions — regarding your needs and dreams, your tolerance for risk, your time horizon — and then listen. It’s an ongoing process through which we strive to know all we can about you, your family, your business (if applicable) and your short- and long-term goals. This period of “discovery” helps us make informed recommendations and design a flexible wealth management plan that is uniquely yours. Growing up in Alaska, Gary Johnston knows firsthand the need for solid planning. Poor choices can have serious consequences in the harsh Alaskan winters, and Gary draws from that experience when considering how to position his clients for their financial future. A long-term fascination with the financial markets and numbers led Gary to launch his career with U.S. Bank in 1993, quickly moving to its Investment Division before arriving at Morgan Stanley in 2009. Five years later, Gary founded The Dimensional Group at Morgan Stanley with David Anderson, Financial Advisor. Together, Gary and David focus intently on supporting their client’s financial goals through comprehensive wealth management and retirement plan services. 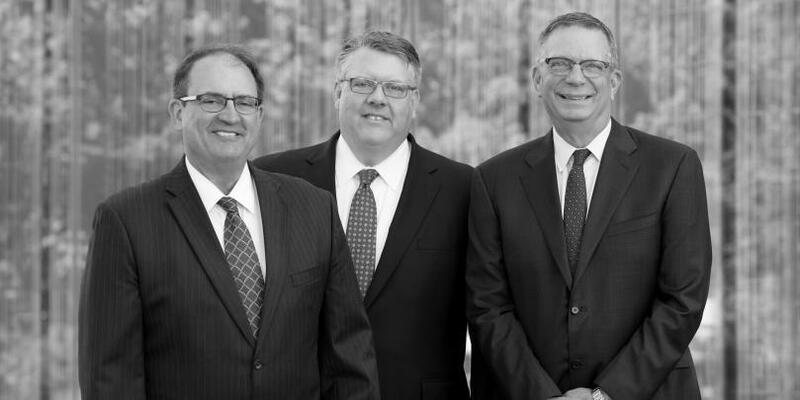 Together they bring more than 65 years of experience in investments and banking to their clients as dedicated advisors. Today, Gary focuses on capital markets analysis, implementation of investment opportunities, and asset allocation models for the team. Every relationship is approached individually, and Gary enjoys building a unique financial structure for each of the team’s clients. Gary leverages his background and the resources of Morgan Stanley to support the client’s goals. 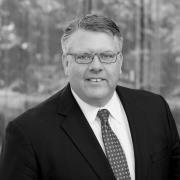 Gary graduated with a Bachelor of Science from the University of Oregon in 1993, and completed his Masters of Business Administration from Portland State University five years later. During his undergraduate years, Gary had an opportunity to study abroad, earning his International Business Certificate from Nyenrode University in the Netherlands. His experience overseas widened his view on financial markets, imbedding a global and geopolitical view of investing, and impacting how he positions clients today. To him, opportunities do not end at our borders. Gary Johnston registered since 1995, David Anderson retired from U.S. Bank after 44 year career and registered since 2014. David Anderson co-founded The Dimensional Group at Morgan Stanley with Gary Johnston after a 44-year career with U.S. Bank. 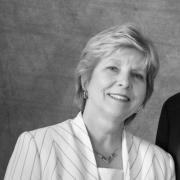 Together the two bring more than 65 years of experience in investments and banking to their clients. 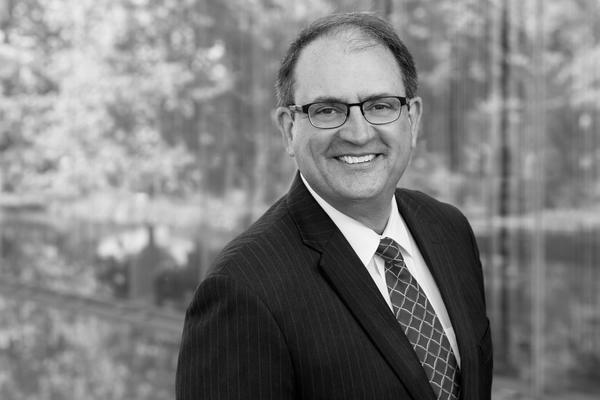 With knowledge of commercial and consumer lending, and extensive experience in branch management, David leverages these talents to support the team’s clients in their long-term financial endeavors. His extensive background in financial services allows him to approach wealth management by considering both liabilities and assets. A holistic approach, combined with the capabilities of Morgan Stanley, adds a deeper dimension to the services the Group can offer. This enhances how The Dimensional Group helps clients manage risk and their wealth to accomplish their goals. As a designated Family Wealth Advisor, he brings a focus on helping families plan for the future. David launched his career right out of high school as a Work College Trainee with U.S. Bank in Oregon. He earned his Bachelor of Science in Economics from Western Oregon University, completing his degree after spending two years with the Marine Corps during the Vietnam conflict. He continued to sharpen his skills in the financial arena, returning to pursue a degree from the Pacific Coast Banking School at the University of Washington. David’s commitment to his country and to his clients is also present in his service to his community. He is a member of the Shadow Hills Country Club, past Board president and member of its Finance committee. When not enjoying his son’s cross country and water polo, he is often on the golf course or spending time with his family. David lives with his wife Tiffany, young son and their dogs in Eugene. 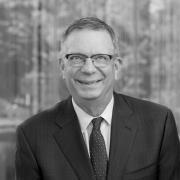 Gary Johnston registered since 1995, David Anderson retired from U.S. Bank after 44 year career, registered since 2014. Adam Anderson hails from Western Kansas. After graduating from Fort Hays State University in 1990, Adam moved to the Pacific Northwest to begin raising a family. As with both Gary and David, Adam also has ties to the old Oregon-based US Bank, beginning his career there in 1991. The newest member of the Dimensional Group, Adam brings more than 26 years of financial advisory experience to the team. As a Financial Advisor and Branch Manager for the Lake Oswego branch of Morgan Stanley, Adam has a working knowledge of many different styles of providing investment advice to clients. The main focus of Adam’s practice is helping clients achieve their retirement goals. Adam works to help clients accumulate and preserve wealth during their working career, and then manage these assets for income during retirement. A comprehensive approach to managing wealth includes working with clients to implement efficient wealth-transfer strategies, seeking to maximize the ultimate benefit to clients’ families. Regular, periodic reviews are part of this process. Adam believes that providing investment advice is essentially an on-going conversation with clients, with course corrections and updates occurring as necessary over time. Adam and his wife Kristin, along with their three children, are big fans of life in the Northwest. After many years of coaching and supporting their children’s sports team, favorite activities now include walking their two dogs, golfing, and hiking and biking anywhere in Oregon. 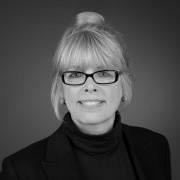 A former financial consultant, Kathy Braun brings 30 years of experience to her work with The Dimensional Group. Organized, thorough, and focused, Kathy is committed to supporting clients with their needs, from putting together new accounts to resolving their concerns. Kathys knowledge of the financial services industry is comprehensive, and she is skilled at handling financial details. She deeply enjoys her work with clients, and with the team. Formerly from Bend, Kathy has lived in Eugene with her husband for the last 10 years. When not focused on the teams clients, she is enjoys reading, fly-fishing, and traveling with her husband to far-flung locales including Africa, Tahiti and Hawaii, and visiting with her two adult sons. I have been in the investment industry for many years, and have worked with Adam for the past 15 years. We both enjoy our business and work very well together, providing our clients excellent service. My husband Jerry and I live in Camas, Washington and have lived in the Pacific Northwest for over twenty years. We are avid golfers and have many good times with our children and grandchildren. 13Precious metals are speculative investments and, as such, their value can be subject to declining market conditions. 17An investment in an exchange-traded fund involves risks similar to those of investing in a broadly based portfolio of equity securities traded on exchange in the relevant securities market, such as market fluctuations caused by such factors as economic and political developments, changes in interest rates and perceived trends in stock prices. The investment return and principal value of ETF investments will fluctuate, so that an investor's ETF shares, if or when sold, may be worth more or less than the original cost. 18Morgan Stanley offers a wide array of brokerage and advisory services to its clients, each of which may create a different type of relationship with different obligations to you. Please consult with your Financial Advisor to understand these differences. 19Fixed Income investing entails credit risks and interest rate risks. When interest rates rise, bond prices generally fall. 21The returns on a portfolio consisting primarily of Environmental, Social and Governance (“ESG”) aware investments may be lower or higher than a portfolio that is more diversified or where decisions are based solely on investment considerations. Because ESG criteria exclude some investments, investors may not be able to take advantage of the same opportunities or market trends as investors that do not use such criteria.